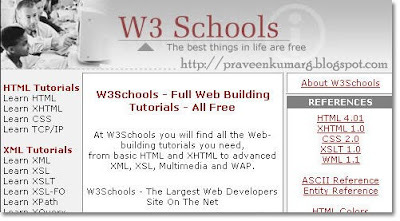 Download the complete tutorial package of w3school which is one of my favourite Tutorial site for web designing.This is provides easy illustration of codes with examples even newbies can understand those tutorials. Hey nice stuff dude. thanks a lot..